Arriving in an already tumultuous year of buggy, unpolished games, Driveclub seemed to get the most flak for its launch issues. Buggy servers almost crippled the social-racer, leaving a lot of people with a bitter taste in their mouth. But Evolution Studios, the driving force behind Motorstorm, have been excellent in their endeavours to fix these issues, and Driveclub has come a long way since its woeful 2014 launch. But, the burning question now is how does it play? Is it a racer – something sorely lacking on the eighth gen – that’s worth your time? 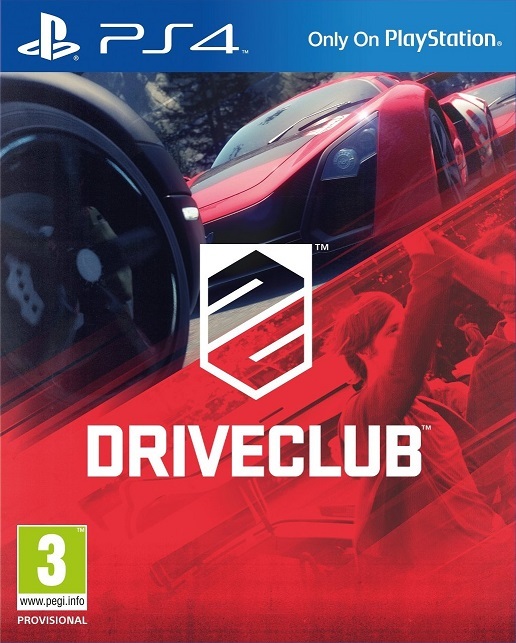 The main concept behind Driveclub is that it is a socially-connected racer. In this regard, it is quite cool. At the beginning of the game, you can either create or join a Club. Consisting of up to six members, it essentially allows you all to earn XP and unlockables that can be used by all members. Clubs allow for personalisation, such as a group Logo which can be applied as a Vinyl to your car, and it definitely is something worth investing time into, whether you make a Club with your friends or join random players. You also earn XP for yourself that unlocks more designs and cars, giving lone wolves something to work for. Yellow cars aren't especially covert... unless they come with green stripes! Social elements also weave into races. Every event tracks not only the times of your friends but also players around the world. Aside from spying on leaderboards, social interaction also becomes a factor in races. As you race, challenges will pop up, varying between Speed, Drift and Cornering Face-offs. Often these will be scores set by other players around the world, and completing these will give you extra Reputation points. These, a bit like Project Gotham Racing, can also be earned by drifting, maintaining high speeds and overtaking other cars. These feed into both your solo and Club levels, making it a fairly addictive system. In fact, a lot of the social elements of Driveclub are engrossing and fun. There wouldn’t be much of a social experience without competition, and Driveclub also encourages this. Along with typical PvP modes, healthy competition is encouraged through Challenges. Players can set both individuals and Club challenges through time trials, events and other competitive stipulations. Players can accept these challenges and attempt to outdo their rivals, and it’s great to challenge your friends and competitors around the world to see if they can beat you in the duel. It does mean that you may not get as much out of the game if you are offline, but you can still access Tour and Single Events. Driveclub mainly falters with the actual racing. It’s far from a bad engine, running at a smooth clip and featuring detailed and mostly satisfying racing. Handling is pretty comfortable, and the game nicely straddles between sim-logic such as breaking, and arcade-style handling. But the A.I. and physics can both be wonky. Opponents, not unlike Motorstorm​'s, can be unflinchingly tough to beat, never seeming to falter and too often rubber-banding. They can also be rather aggressive, which leads to the faults with the physics. Cars feel almost too light, often being spun out by shunts from drivers. This aggression can also be frustrating because it docks you Rep points, even if they ram you. While the engine feels smooth enough, these issues can make some tour events frustrating enough to rip your hair out. It can also feel a little lacking on content. The main mode comes in the form of Tour, a series of races, drift events and time trials. Passing these events is often not too bad, but mastering them is a whole different ball game. Each event comes with Stars, which encourage you to finish a Lap in a certain time, pass through Sectors cleanly and reach pole positions in Races. These can be incredibly tough to earn, particularly some of the insanely difficult Time Trials. Mastering the Tour certainly takes time, but passing it can be done incredibly quickly. And those not keen on forcing themselves to master the game may lose interest quickly. Driveclub benefits from a clean menu presentation and great visuals. All the social aspects could have become doubly cluttered, but they are laid out with care and clarity. Cars look excellent, benefitting from smooth shapes and lovely lighting. The tracks look mostly good, though some weird pop-in can occur too. And while the frame rate is only capped at 30fps, it still pushes the PS4. The audio is a touch sparse though, as while engine noises are good, there’s barely any music and audio outside of that. Races can feel a touch lifeless as a result. In the end, Driveclub is a solid attempt to link racers together. Its social aspects deserve praise, as the constant challenges, linked leaderboards and Clubs system give it longevity way beyond its meagre Tour. But the racing itself can let the experience down, suffering from odd physics and overly aggressive A.I. It’s certainly worth your time if you enjoy your driving games, though it doesn’t stack up to older-gen driving games. But with constant updates and plentiful support, you won’t feel short-changed either.